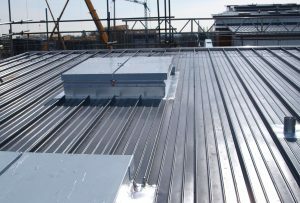 Founded in America in 1926 Bilco has designed and supplied horizontal access products for use in roofs and floors for construction and engineering projects all over the world. Bilco UK was established in 1989 to provide building services professionals in the UK with permanent, safe horizontal access solutions. Based in Bury St. Edmunds, Suffolk, Bilco UK supplies the architectural and construction sector with a range of standard and bespoke roof access hatches, smoke vents, floor doors, ladders and safety products, including the LadderUP® safety post. Bilco was acquired by Amesbury Truth, a subsidiary of London based Tyman Plc in June 2016. 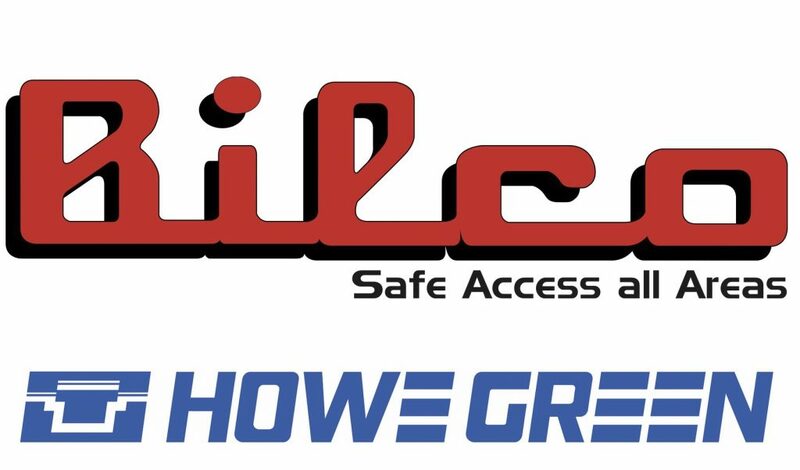 The acquisition of Howe Green Ltd, manufacturer of metal fabricated access covers to support Bilco’s proposition for “Safe Access All Areas” followed in March 2017. Bilco UK and Howe Green become part of the home security specialist ERA, another division of Tyman Plc, in April 2017. The Howe Green brand has been at the forefront of design and innovation in the highly specialised architectural building products sector since 1983. 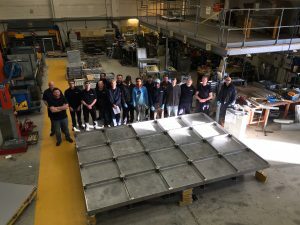 Located in Ware, Hertfordshire, Howe Green’s manufacturing facility produces fabricated metal floor, wall and ceiling access covers, panels and hatches, linear drainage, tree pit covers and architectural metalwork. Howe Green’s access products provide an innovative and practical solution to resolve the problem of accessibility to concealed services – quickly, safely and cost effectively. The Bilco and Howe Green products serve the same markets. The products are often specified in the same projects. Being part of the same group makes it easier to provide customers with a more collaborative approach. Bilco and Howe Green products have been supplied for a range of applications to a diversity of customers. Within the airport sector notable projects include London Heathrow Terminal 5, London Stansted Airport, Dulles International Airport, London Gatwick Airport, Dublin Airport T2, Manchester Airport T1, and London Luton Airport. 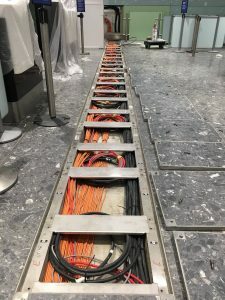 With decades of experience Bilco UK is the horizontal access cover specialist for airport roofs and floors. 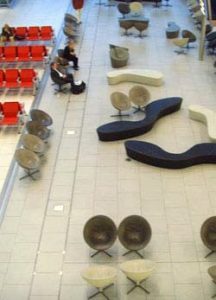 To find out more about Bilco UK and the full product range available for airport roofs and floors please visit the website: bilcouk.co.uk. 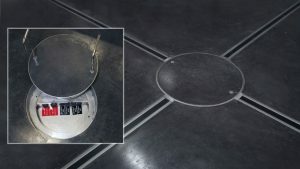 Bilco UK offer a range of floor access solutions including through-floor doors and access covers and hatches to access services concealed beneath flooring. Bilco floor doors enable safe, occasional or special access between floors to basement and roof areas. Floor doors are available in a range of UL listed standard sizes and can be supplied as single or double leaf units. They are suitable for interior and exterior use. A range of loading, fire rating and drainage options are available to suit your requirements. Bilco fire rated floor access doors feature an automatic closing system and intumescent fire resistant coating. 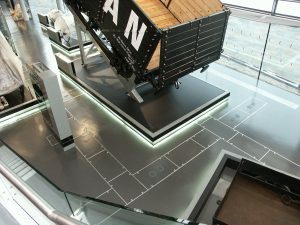 Howe Green floor access covers and hatches provide safe and easy access to concealed service under all types of hard floor finish or flexible floor finishes. Manufactured in aluminium or stainless steel, Howe Green’s range of floor access covers are available as single covers, duct runs or multipart units. Standard sizes are available from stock. Bespoke covers can be manufactured to order to meet your exact requirements with regards to size, loading and finish. 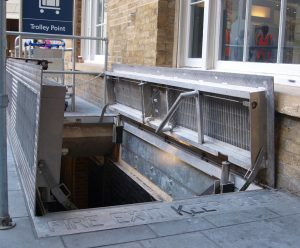 Howe Green’s floor access covers meet the requirement for a safe floor access solution. Infilled covers can be easily and safely removed with lifting keys or the ingenious access cover skate. Covers fit flush with the flooring, removing the hazard of slips and trips and providing an aesthetically pleasing finish. The complete range of Floor Access Solutions can be viewed on our website here. 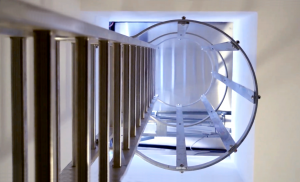 The comprehensive range of roof access products includes ladder access, companionway access, service stair access, equipment access, high security access and replacement access hatches. 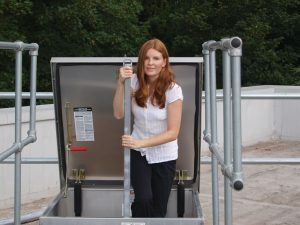 Ladder access roof hatches are designed to be used with a fixed or retractable ladder. They are ideal for occasional access to and from the roof area. 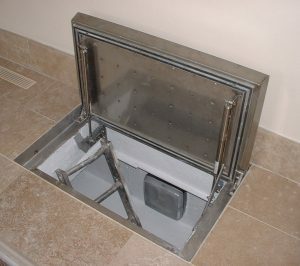 The Bilco companionway roof access hatch is used when frequent access to the roof area is required. It facilitates ease of movement of maintenance personnel and tools to and from the roof area. 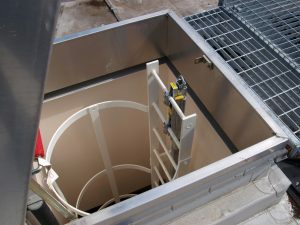 Service stair roof access hatches are ideal in situations where safe, easy and regular access to the roof is required from full sized service stairs. 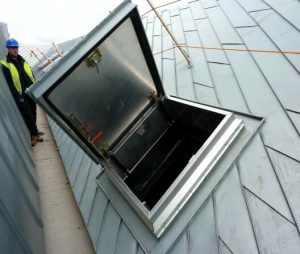 Equipment roof access hatches provide a convenient way to install or remove large pieces of equipment from a building via the roof. 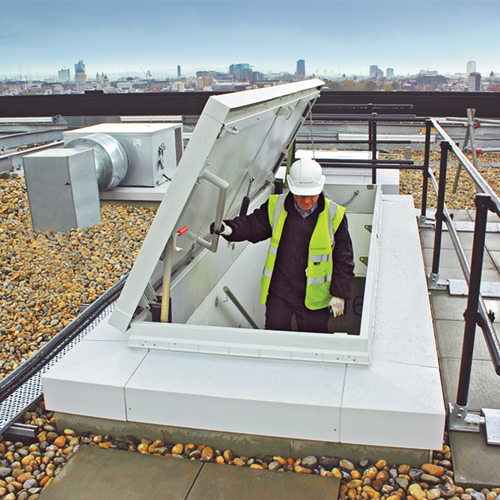 The security series roof access hatch is manufactured from heavier gauge materials making it perfect for use in public buildings such as airports where a high level of security is required at access points to and from the roof. 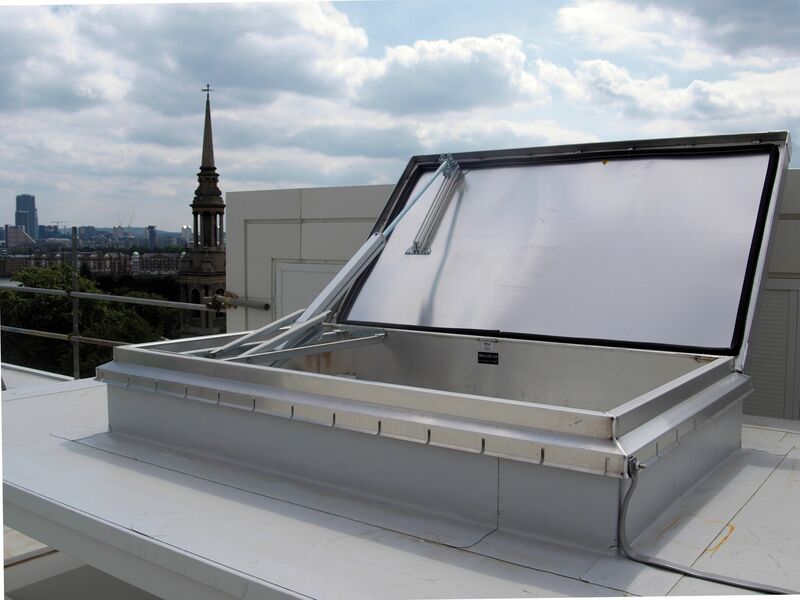 Visit our website to view our entire roof access range. In addition to the range of roof hatches Bilco offer a complete range of industrial fixed and retractable safety ladders and roof mounted walkways to ensure that rooftop safety remains paramount. Ladders are manufactured in aluminium or stainless steel to BS4211: 2005. Fixed ladders are available in standard sizes with safety rail and guard rail options. Retractable ladders can be supplied in standard sizes or custom made to order and can be supplied with a trapdoor or backboard depending upon requirements. Step over ladders can be manufactured in custom sizes and are available as fixed or free standing units. Visit our website to view the ladder product range. The range of Natural Smoke and Heat Exhaust Ventilators (NSHEV) from Bilco are used in commercial and public buildings to enable the release of smoke and hot flue gas in a fire. Bilco’s smoke vents meet the highest safety and regulatory requirements. They are fully compliant with the Construction Products Regulation 305/2011, CE-marked with a Declaration of Conformity, and manufactured to meet the demands of Building Regulations, Approved Document B, BS9999 and BS EN12101-2. The smoke vents are available with a wide range of options including tamper proof manual control points, rain and wind sensors and special finishes. You can view our range of Smoke Vents over on our website. 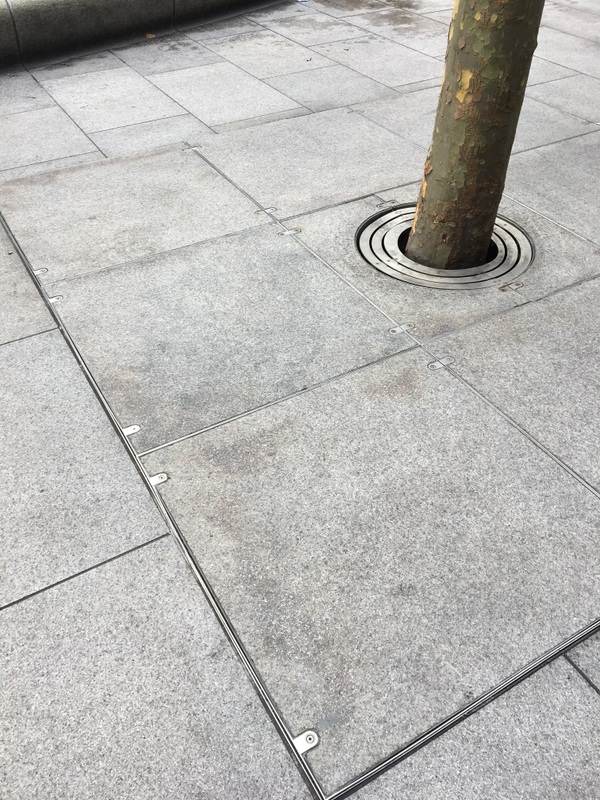 A variety of special application products can be manufactured including bespoke architectural metalwork, wall access panels and hatches, linear drainage and tree pit covers. By utilising a highly automated CNC system at our manufacturing facility in Ware, Hertfordshire, we can produce the component you require promptly and to your exact specification. 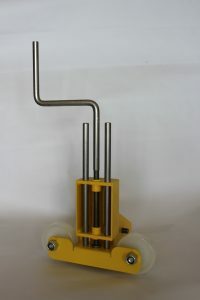 The special application products can be viewed on our website here. The Howe Green wall access panels and hatches facilitate access to concealed services, from stopcocks to plumbing services, behind tiled or plastered walls in toilets, bathrooms, wet rooms, kitchens and utility areas. Hinged or fixed options are available depending upon the frequency of access required. Wall access products are offered in a number of standard sizes, including single or double leaf, or can be custom made to order. 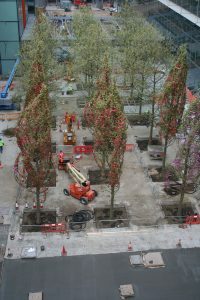 View the Howe Green wall access range over on the website. Continuing Professional Development (CPD) – for the stressed and overworked!